Abbreviations and acronyms are commonly used by Singaporeans when we are talking about things that matter to us. From CPF to BTO, there is an acronym for almost everything in a Singaporean’s life. In the case of BTO, there are some acronyms that matter more to us than other acronyms. In this article, we are going to break down some of the most important acronyms you got to know by heart if you are applying for your first BTO. AHG stands for Additional Housing Grant. It is one of the two grants that you can get if you are a first-timer BTO applicant. AHG is the first layer of grant that applies to families with lower income. If your combined household income is below $5,000 per month, you will be eligible for AHG. The amount of grant you can receive via AHG is dependent on your current income level. The highest amount of grant you can receive under AHG is $40,000. SHG stands for CPF Special Housing Grant. P.S. But please do not ask us how they came up with the acronym. To encourage families to opt for homes in non-mature estates, the SHG was introduced. In order to qualify for SHG, you need to apply for 4-room or smaller flats in NON-MATURE estates. In addition, you also need to be within the income ceiling of $8,500 for your monthly household income. Getting the right BTO can be challenging, from finding out which grants you qualify for to arranging for your own loan. Why not make your life simpler by letting Moneyline help you with the loan? Moneyline will help you compare and find the best home loan to match your housing needs. MOP stands for Minimum Occupation Period. MOP refers to the minimum number of years you need to “stay” at your home before you can rent or sell it away. Right now, the MOP is 5 years for all HDB flats, regardless of size. MOP is calculated from the date that you collect the keys to the flat. If you are unsure whether you have reached your MOP, you can check it from HDB’s website via this link. 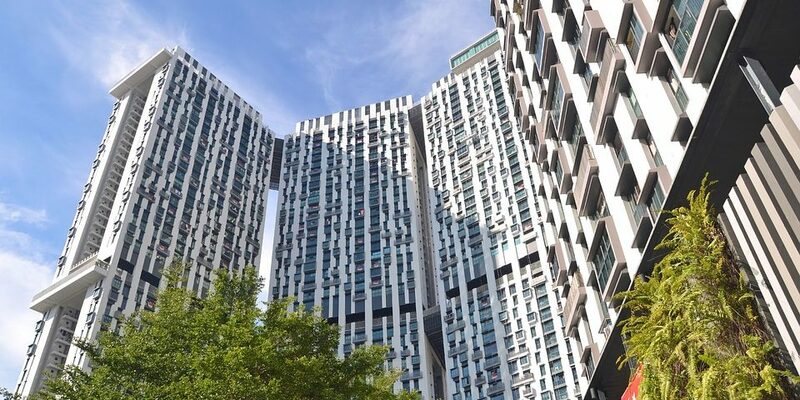 VERS stands for Voluntary En-Bloc Redevelopment Scheme. VERS is a very new concept that was only introduced this year during the National Day Rally. When your HDB flat reaches around 70 years old, you will become eligible for VERS. If you decide to give up your HDB flat for redevelopment, you will receive some compensation from HDB. However, since this is still a very new scheme, the exact amount of compensation is still uncertain. SERS stands for Selective En-Bloc Redevelopment Scheme. SERS is the predecessor of VERS. However, they serve a very different function. Under SERS, the government is looking to take back areas that are under-utilized. In return, owners will be offered a compensation package which is typically generous. They will also provide you with an option to move into a new BTO. You can think of SERS as the en-bloc of a HDB flat. According to Minister of National Development, SERS only applies to 5% of HDB flats. LBS stands for Lease Buyback Scheme. LBS is an option for you to encash your HDB from an asset into cash. It allows you to sell a part of your lease back to HDB in return for cash to provide for your retirement. This is another scheme in place to help Singaporeans retire with the assets in your HDB flat. At the moment, LBS only applies to those who have reached age 65 with at least 20 years left on your HDB lease. However, there is a catch that you need to know. The catch is that you might not get to hold the cash with you. The cash that HDB will pay in exchange for some years in your remaining lease will need to be topped up into your CPF retirement account. You will only receive cash if there is still cash left after you have hit the age-adjusted Basic Retirement Sum in your CPF retirement account. Retirement with your HDB flat as your only money-making asset can be risky. Find out more about how you can leverage on other assets like insurance to help you safeguard your own retirement. Let us know what are your worries and let Moneyline help you alleviate your worries here.